17x10x14 cm. 17 cm long (6.5 inches). 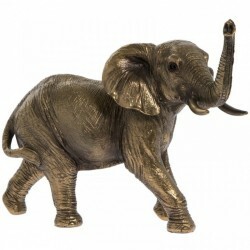 Elephant solid cold cast resin bronze sculpture. The Leonardo Collection is one of the UK's leading quality giftware brands.